In 1880, UVA hosted the state’s first Normal School, which provided instruction for schoolteachers throughout Virginia—including 312 women. Caroline Preston Davis applied to take the examination for a B.A. in mathematics in 1892, but the application was denied and she was awarded a certificate of proficiency instead. Two years later, Addis M. Meade (Grad 1894) received a master’s degree in mathematics. That same year, the faculty and Board of Visitors voted against admitting women under any conditions. 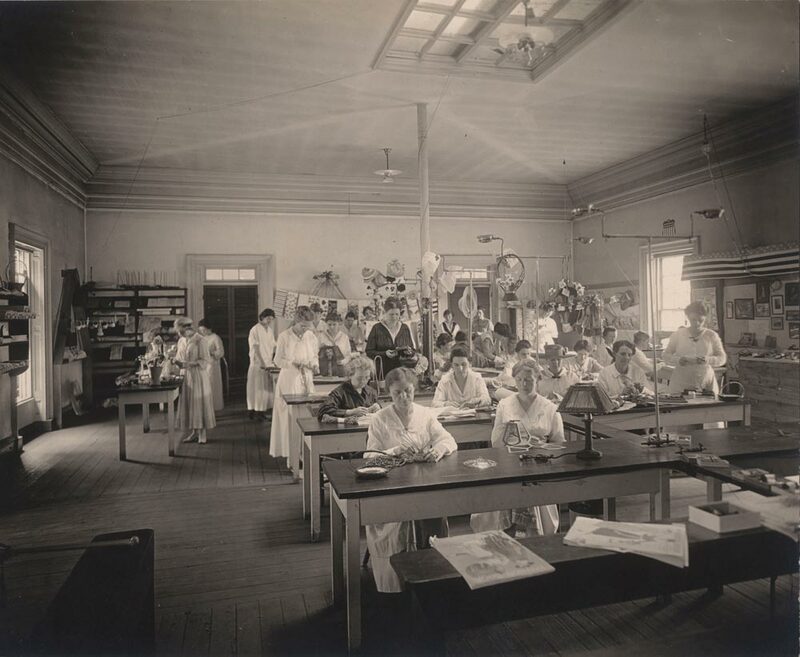 The School of Education established a summer school for teachers in 1907; women were admitted, but the courses offered were intended to satisfy requirements for teacher certification and did not lead to degrees. Women could also take classes in home economics, cooking and stock judging—the examination of domesticated animals for breeding purposes. 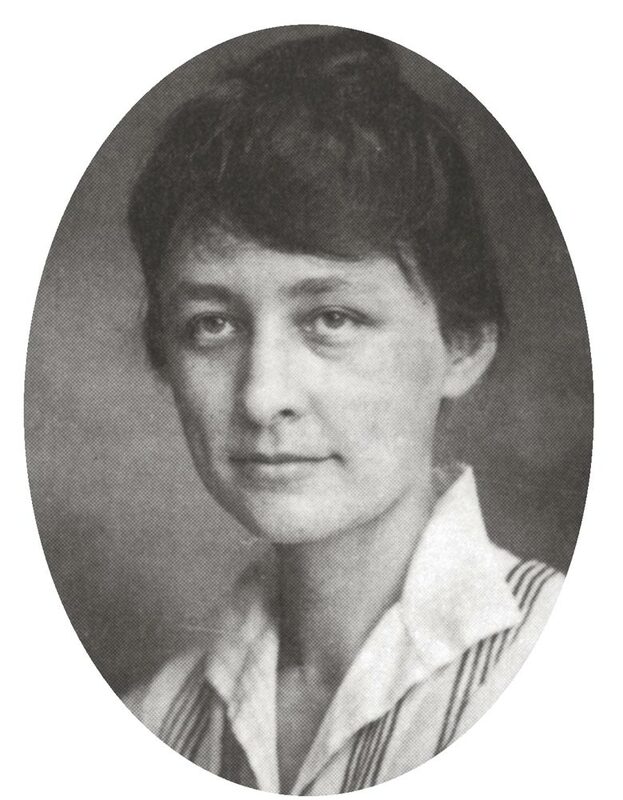 Georgia O’Keeffe attended the University for four summers, taking classes and later teaching them between 1912 and 1916. 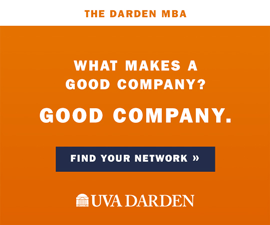 In 1920, the same year American women won the right to vote, the Virginia General Assembly decided to admit women to graduate and professional programs at UVA. 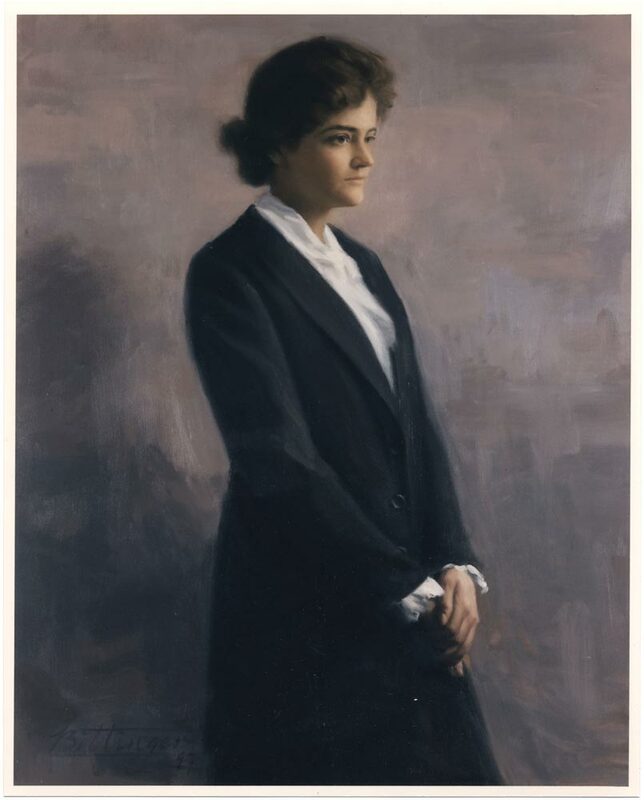 Seventeen women enrolled at UVA in those programs in the fall of 1920, including Elizabeth N. Tompkin (Law ’23), who would be the first woman admitted to the Virginia State Bar. By the 1930s, a few wives and daughters of faculty members were accepted as degree candidates in the College of Arts & Sciences. Also during this period, Alice Jackson, an African-American woman, applied to a master’s program in French. When her application was denied because of Virginia’s racial segregation education laws, she instead earned a master’s degree at Columbia University. 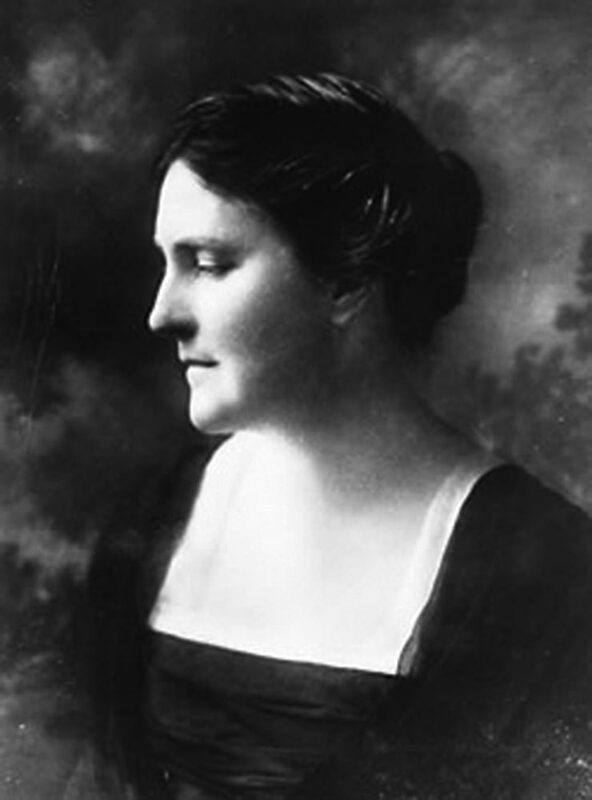 In 1910, Mary-Cooke Branch Munford lobbied the Virginia General Assembly to establish a co-ordinate women’s college. 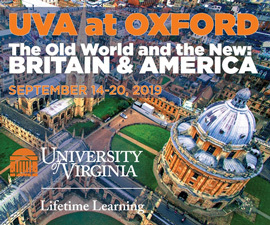 A co-ordinate women’s college would share some of UVA’s resources, but maintain separate learning environments for the sexes. The UVA faculty endorsed the bill in 1911. Five years later, the bill passed the state senate, but failed in the House of Delegates by two votes. In 1930, the General Assembly decided that a co-ordinate college should be at least 30 miles from Charlottesville. In 1944, Mary Washington College, which was 70 miles away in Fredericksburg, Va., became the women’s liberal arts college associated with UVA. When UVA became a fully coeducational institution, the affiliation between UVA and Mary Washington came to an end. During the early ’70s, more transfer students came from Mary Washington to UVA than from any other school.